The Indianapolis 500 was part of the inaugural World Driver’s Championship, but did not attract any European entries. Johnny Parsons won the race to become the first American to win World Championship points. 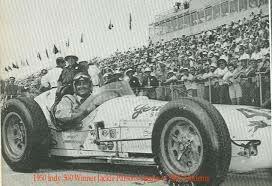 The 1950 Indy 500 was originally scheduled for 200 laps (500 miles), but was stopped after 138 laps (345 miles) due to rain. During the month, Clark Gable and Barbara Stanwyck were at the track to film scenes for the film To Please a Lady. Stanwyck was on hand in victory lane after the race for the traditional celebratory kiss to the winner. 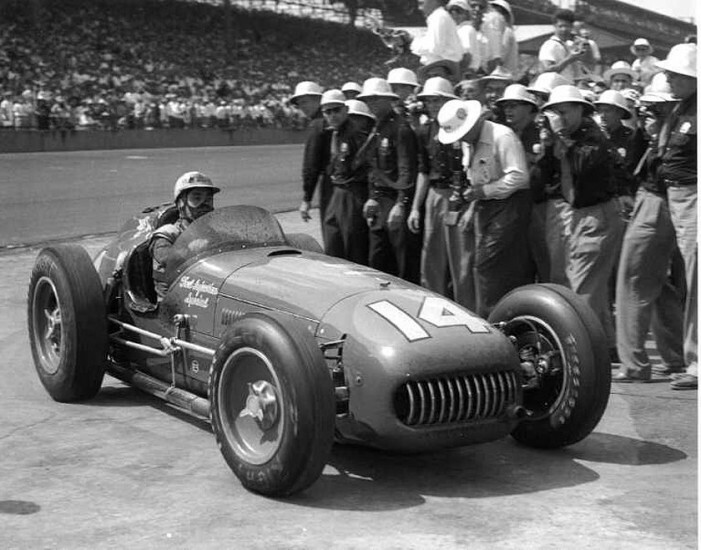 Duke Nalon, who had suffered serious burns in a crash in 1949, and who missed the 1950 race, made a comeback at Indy by winning the pole position in a Novi. Heavy attrition saw only eight cars running at the finish. Winner Lee Wallard‘s car only just got to the finish having lost its brakes, suffering a damaged exhaust pipe, and breaking a shock absorber mounting! In addition to the unbearably uncomfortable ride, Wallard had worn a fire retardant outfit, created by dipping his uniform in a mixture of borax crystals and water. Due to not wearing an undershirt, Wallard suffered serious chafing, and required treatment at the infield hospital after the victory lane celebration! Cummins Diesel returned to the Speedway in 1952 and made headlines with a 401-cubic-inch turbo-diesel truck engine in a Kurtis roadster. 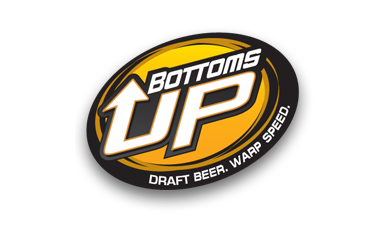 It was the first turbocharged-engine at Indy and driver Freddie Agabashian put it on pole position at 138.01 mph (220.816kph). The diesel lasted 71 laps before overheating. Troy Ruttman became the youngest winner of the race at 22 years and 80 days, which was also part of the World Drivers Championship (Fernando Alonso broke that record when he won the 2003 Hungarian Grand Prix at 22 years and 26 days). Because of Indy’s World Championship status, Ferrari made its first and only 500 appearance, with future two-time World Champion Alberto Ascari at the wheel. He Qualified 19th, and crashed when a wheel hub broke on lap 41. 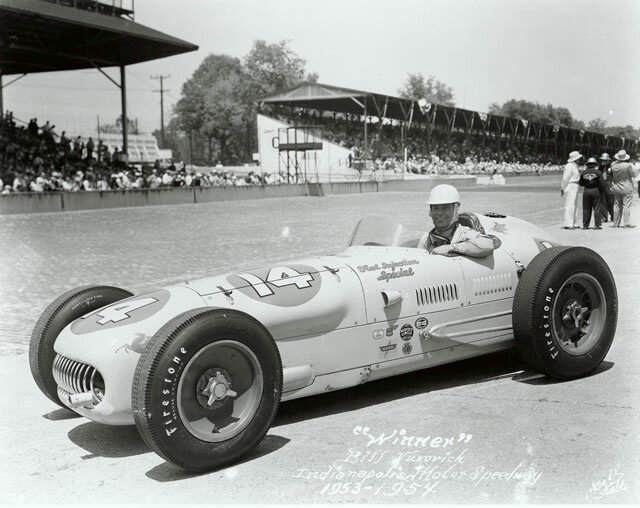 Bill Vukovich won the race in what is quite often referred to as the “hottest” 500. 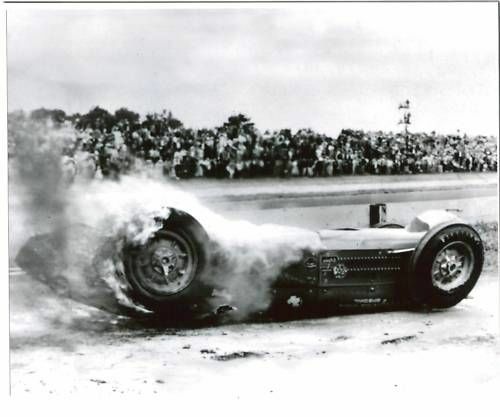 With the temperature as high as 98 °F (37 C), and the track temperature exceeding 130 °F (54 °C), driver Carl Scarborough dropped out of the race, and later died at the infield hospital due to heat prostration. 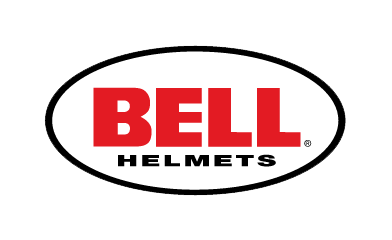 Due to the extreme heat conditions, several drivers in the field required relief drivers, and some relief drivers even required additional relief. Those conditions are seriously hot and would be uncomfortable! Vukovich, however, as well as second-place finisher Art Cross, both ran the full 500 miles solo. 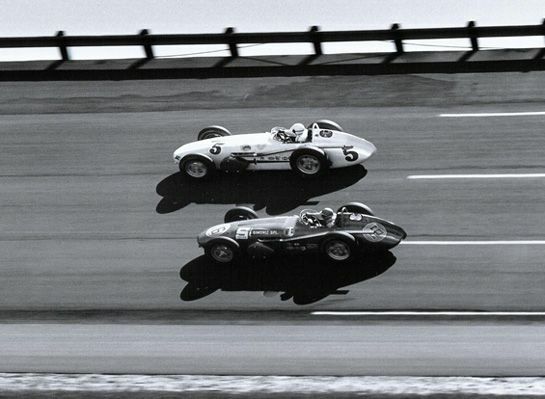 In scenes that would be repeated years later, the entire field ran an Offenhauser/Indy Roadster, with Bill Vukovich winning back-to-back titles. He started in the 19th position but fought his way into the lead at the 375-mile (600km) mark and wasn’t headed. “Vuki” crossed the finish line just over a minute ahead of the second-place car, Jimmy Bryan. His average speed was a record-breaking 130.84 mph (210.561 kph). Vukovich joined Wilbur Shaw and Mauri Rose as the only drivers to have won consecutive Indy 500s at that point. 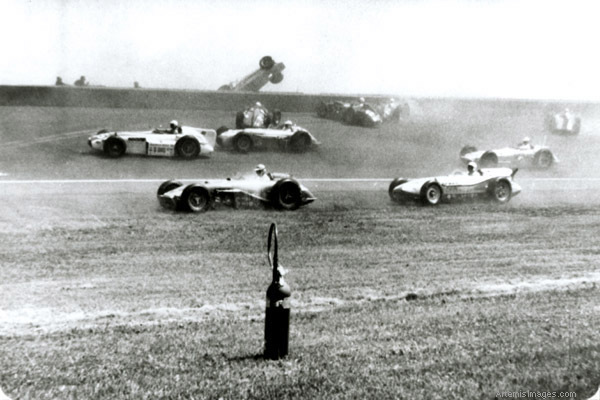 What was looking to be a celebration of three consecutive wins for Bill Vukovich, turned to tragedy on lap 57 when he ploughed into a three-car pile up including Al Keller, Johnny Boyd and Rodger Ward. He suffered a fractured skull when his car became airborne and went out of the course on the back straightaway, landing upside down and on fire. His death concluded a streak of three straight years leading the most laps in the race (likely to have been four straight, 1955 inclusive), a feat unequaled since. Torrential rains pummeled the Speedway in the days leading up to the race. The track was full of standing water, access tunnels were completely flooded, and the infield was a muddy quagmire. The conditions threatened to postpone or outright cancel the race. Speedway superintendent Clarence Cagle supervised a massive 48-hour straight cleanup effort, in which hundreds of thousands of gallons of water were pumped out of the tunnels and the infield. Pat Flaherty set a new track record on the new surface with a speed of 145.596 mph (234.314 km/h), over 4.5 mph (7.2 km/h) faster than the 1954 record He then went on to win the race. The total race purse was also a record, more than $US300,000 for the first time. Hanks won the race in George Salih’s noteworthy and famous “Lay-down Offy.” The Offenhauser engine was mounted on its side and shifted off-center. This was done in order to lower the center of gravity, reduce frontal area, and counterbalance the body roll in the turns. Sadly this race is remembered for a massive 15-car pile-up on the front straight on the opening lap which killed fan-favourite Pat O’Connor. 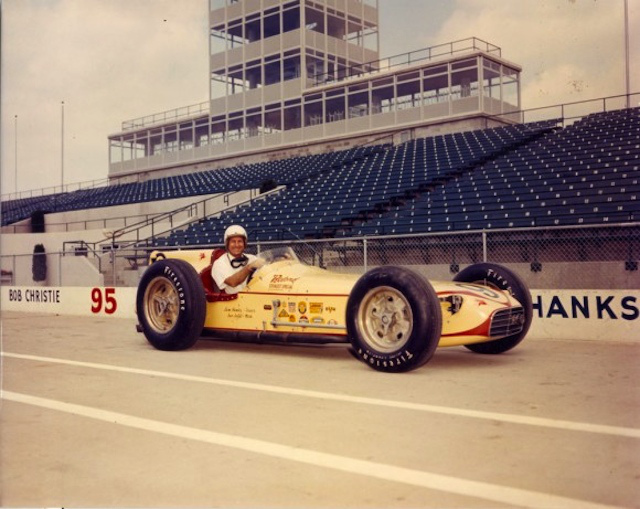 Jimmy Bryan was hired by George Salih to drive the “Lay-down Offy” which Sam Hanks had taken to victory lane the previous year. 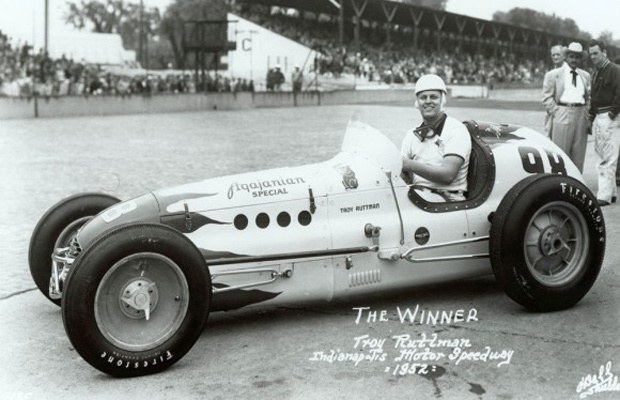 Bryan got the win in the only car that would win two Indy 500s. AJ Foyt also made his race debut, but spun and crashed on lap 148 after hitting some oil. The greatest driver of his age, Juan Manuel Fangio – who would win five Formula 1 World Titles (a record until Michael Schumacher came along…) attempted to qualify and score points towards the World Driver’s Championship, but failed to get up to speed in practice. The Unser family got off to sad start at the Indy 500. 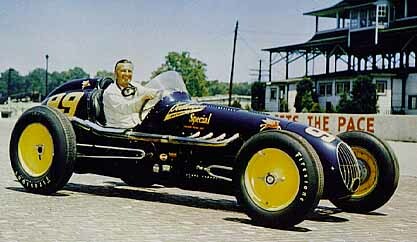 Jerry Unser survived the opening-lap crash of the 1958 race, but he died in a practice accident in 1959 as did Bob Cortner. Jerry’s brothers Bobby and Al and nephew Al Jr all became future winners of the race. His son Johnny and nephew Robby also had starts. Rodger Ward led home the All-American field with a record 16 cars on the lead lap.